Day 14 of the Heapnose perfume diary. 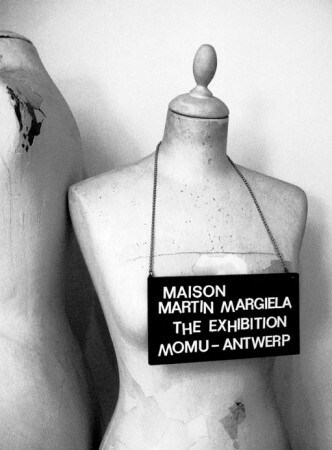 Today i’m wearing “Untitled” by Maison Martin Margiela. But before I get into the review – I’d like to apologise for the recent Heapnose hiatus. After a particularly fragrant few months this nose felt that some time away from the old grindstone was much needed, to charge the old batteries, gather up some new fragrances and re-discover the simple joys of perfume. I went on holiday. Happily, in my absence Belgian fashion house Maison Martin Margiela, paired up with cosmetics giant L’Oreal to create his first fragrance imaginatively entitled “Untitled”. (I’ll come back to that.) Even more happily, cosmetics giant L’Oreal sent their PR person sniffing round the blog world, where lo and behold she encountered Heapnose. And got in touch. And sent me a bottle. For nothing. Before its official UK release date. So far so good, Maison Martin Margiela. Background research revealed that Martin Margiela has in fact now separated himself from his Maison, but not having heard of Martin, much less his Maison, I don’t really care whether or not the perfume reflects Mnsr Margiela’s anti-fame, recycling, simple living ethos – but his “no label” policy does explain why the perfume doesn’t have a name. Or, as another, less good perfume reviewer notes ” [Martin Margiela] prefers to self efface behind his house.” Blimey. One can only hope the neighbours aren’t watching. Q: Why have you left a trace of paint (on the bottle)? Was this an accident? …and a whole load of guff about the plants that were used in the composition. In six languages. 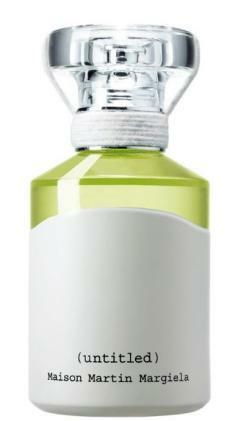 However, I do see where MMM is coming from – this perfume is a reaction to the current climate of celebrity fragrance. In a world where “Brand Beckham” counts for more than the actual scent, I can certainly see the value in selling a fragrance which is an absolute blank canvas – it can be worn by anyone, anywhere and purports neither to sell a fantasy nor a lifestyle choice. Donna Karan take note – Martin Margiela isn’t trying to tell me that my life will be better if I buy his perfume. And I like that. I also like the fragrance. It’s very green, perfect for spring but with some amber and oriental base notes, and its longevity is quite simply superb. Pat Heap and I both put it on after the gym last night, and it stayed put throughout the evening and well into the following day. Another (unnamed) critic in my acquaintance surprised me with the suggestion that there was “a hint of an arse smell in the lower notes” although I must confess, this did not occur to me. I picture myself wearing this fragrance whilst blackberrying, picnicking or riding a bike with a basket. None of which I can recall doing in the last ten years, but all of which I see myself doing in the next ten days thanks to my new friend Mr Margiela. It’s hardly a power dressing fragrance, but perfect for a mild Spring day. Given that the literature accompanying the fragrance notes that “Untitled” …”subtly awakens a hidden feminity in our memories” I was surprised to learn that it is in fact a unisex fragrance. So this afternoon I duly took it, and some of the press pack literature round to my mate Owen’s house to see how the other half felt about it. Owen seemed quite pleased with the scent (on me), less pleased with the scent (on him) and entirely displeased with the scent (on the dog). When queried as to whether or not the perfume awakened a hidden femininity in his memories, he looked confused, then frightened. Ditto the dog. I left shortly thereafter. But I was really quite impressed with the fragrance results on Owen. There’s a new wave of traditionally female scents smelling great on guys – (Beardy’s been rocking Jo Malone’s latest Vanilla and Anise to rave reviews ) and this is no exception. It smells good, clean, and unfussy. Which, from what I understand of Maison Martin Margiela, is exactly what he was going for. Until next time Noses – oh and if any of you gentlemen want to borrow this perfume, please let me know – I’m intrigued to see what you think. You’ve been wearing it for 5 YEARS! 5 YEARS!